The Gratitude Initiative invites you to join us in our mission. The commitment and financial support of our partners is critical to GI’s success. We believe that companies that partner with GI will find it to be a rewarding experience for them and their team members as well as for the children and families we serve. Headquartered in Georgetown, Texas, Sport Clips Haircuts is a sports-themed hair care franchise for men and boys with more than 1,700 stores across the United States and Canada. Established in 1993 and franchised in 1995 by Gordon Logan, founder and CEO, the company is one of the nation’s leading franchises and in 2018, celebrated 25 years in business. It is ranked by Entrepreneur Magazine as one of the “Fastest-Growing Franchises” and ranked #10 in the “Franchise 500.” Sport Clips has also been ranked by FORBES as a “Top Ten Best Franchise” to buy for its investment category. Founded in 1919, Halliburton is one of the world’s largest providers of products and services to the energy industry. With 60,000 employees, representing 140 nationalities in more than 80 countries, the company helps its customers maximize value throughout the lifecycle of the reservoir – from locating hydrocarbons and managing geological data, to drilling and formation evaluation, well construction and completion, and optimizing production throughout the life of the asset. Halliburton comprises 14 product service lines (PSLs). The PSLs operate in two divisions: Drilling and Evaluation, and Completion and Production. Our Consulting and Project Management PSL works across both divisions and is the spearhead of our integrated-services strategy. Its financial results are included in the Drilling and Evaluation Division. PSLs are primarily responsible and accountable for strategy, technology development, process development, people development and capital allocation. Carry The Load is a non-profit dedicated to providing active, meaningful ways to honor and celebrate the sacrifices made by our nation’s heroes — military, veterans, law enforcement, firefighters, rescue personnel and their families. What started as a mission to restore the true meaning of Memorial Day has broadened to include more than just our military heroes and more than just the one holiday. Carry The Load works to bring all Americans together to participate in honoring our nation’s heroes every day. 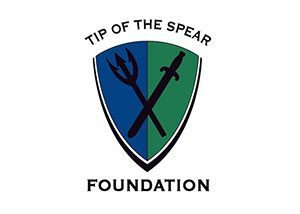 Formed by Special Operations personnel in 2011, Tip of the Spear Foundation (TOTSF) is an official 501(c)(3) tax-exempt non-profit organization, dedicated to supporting our Nation’s Elite Operators and their families during times of need. Operating with a low profile and “no-fail approach,” TOTSF delivers essential, timely, and impactful support to these men and their families. The Moody Foundation is a charitable foundation incorporated in Texas and based in the island city of Galveston. 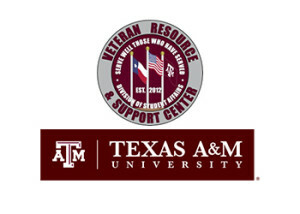 It was chartered in 1942 by William Lewis Moody, Jr. and his wife Libbie Shearn Rice Moody “to benefit, in perpetuity, present and future generations of Texans.” The foundation focuses the majority of its funding on programs involving education, social services, children’s needs, and community development. Formed in 1994, the Insurance Industry Charitable Foundation (IICF) is a 501(c)(3) tax exempt public charity funded and directed by insurance industry professionals representing a broad spectrum of the industry. The insurance industry is dedicated to assisting people in times of need. As such, the industry is uniquely suited to be a philanthropic leader, adapting its skill-set to charitable endeavors. The Insurance Industry Charitable Foundation helps communities and enriches lives by combining the collective strengths of the industry to provide grants, volunteer service, and leadership. Since its inception, IICF has contributed over $25.3 million in local community grants, over 218,000 hours of volunteer service, and the leadership of over 25,000 industry volunteers for programs dealing with education, children at risk, health and safety, disaster preparedness, and the environment. Established in 1954, The American Legion Child Welfare Foundation was developed as a repository of funds from individuals who wished to contribute to the betterment of children in this country. Our foremost philanthropic priority is to contribute to the physical, mental, emotional and spiritual welfare of children and youth by aiding progress in the field of child welfare through dissemination of knowledge about research, studies, surveys, projects, or by supporting programs and activities benefiting the welfare of children and youth. Not all American children grow up inside the comfortable definition of normal childhood development. For thousands, each day is a challenge marked by pain, prayer and perseverance. Many of these children require specialized care. To overcome their obstacles, they need help from you and The American Legion Child Welfare Foundation. Since 1993, the Halliburton Charity Golf Tournament has raised more than $16 million to help nonprofit organizations strengthen our communities and improve the lives of those in need. Proceeds from the golf tournament benefit a select group of charities, each of which plans to make a significant impact through a major capital expenditure or a special community program. Selected nonprofits should serve a specific audience and be able to demonstrate the reach and impact of the proposed capital expenditure or community program. Join us on the links to compete, network — and do so much good for so many people. Ardent Creative is a graphic and web design firm with a knack for digital marketing. Our entrepreneurial tendencies marinate in creative juices and reliability to yield remarkable results for your business. When you hire Ardent, you’re beginning what we hope will be a long-term business relationship. Ardent Creative saves the world from bad design, one project at a time. Our inventive, practical and big-idea shop focuses 100 percent on each project. We believe all our clients, large or small, should receive the same level of attention as Fortune 500 companies. We build relationships around the success of our clients and thrive on referrals from the great work we do. Ardent Creative will persist in raising the bar for itself and in rescuing clients from bad design. Iraq and Afghanistan Veterans of America (IAVA) is the premier veteran’s advocacy and support organization on the planet. Every day, we fight for veterans. Hard. We are the tip-of-the spear non-profit engine of impact that connects, unites and empowers over 400,000 veterans and allies nationwide. Founded by an Iraq veteran in 2004, IAVA is the non-partisan leader in advocacy, public awareness and 1-on-1 case-management support. We organize locally, and drive historic impacts nationally.